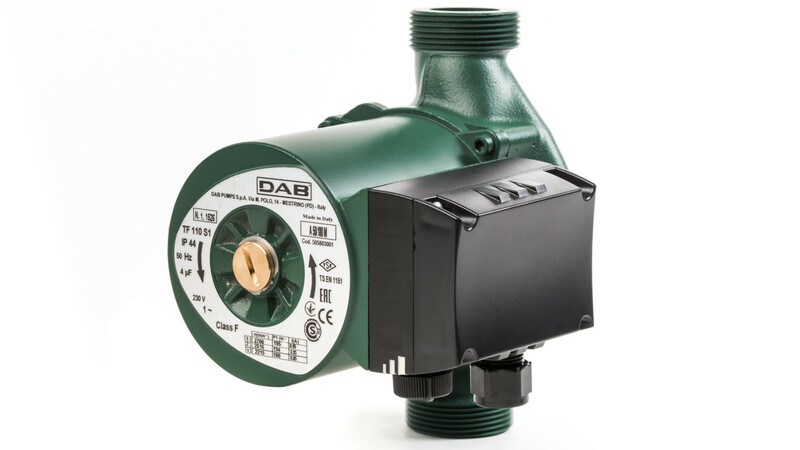 DAB A, B and D wet rotor circulators are designed for the circulation of water in civil and commercial heating and conditioning systems. Cast iron pump body and die-cast aluminum motor body. Techno polymer impeller. 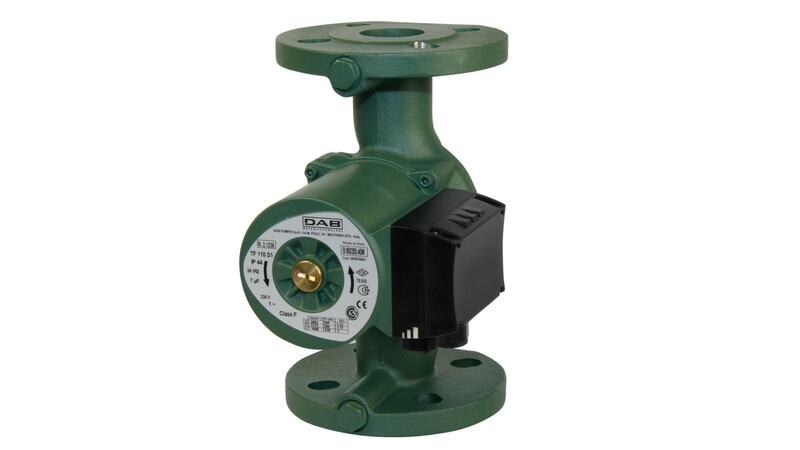 Series A with threaded inlet and outlet, series B with flanged inlet and outlet, twin series D with flanged inlet and outlet. Two-pole asynchronous motor with three speeds in the single-phase version, and two speeds in the three-phase version. Thermal overload protection incorporated in the single-phase version. 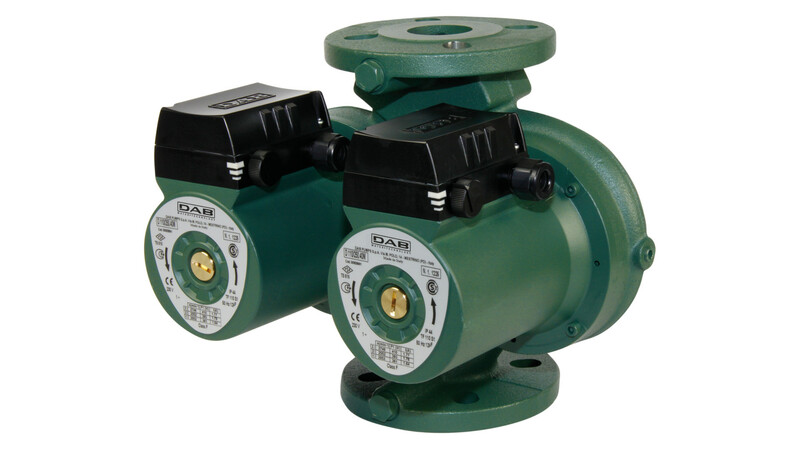 The twin version is supplied as standard with an automatic suction type valve incorporated in the delivery port to avoid water recirculating through the unit when it is not running and a blank flange for servicing either of the two motors.